Most people only think about visiting their doctors when they become ill. It’s important, however, to visit your doctor at least once a year for some important medical tests. 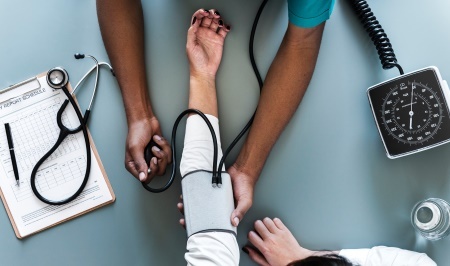 Your provider needs to monitor certain areas of your health in order to catch any potentially serious illnesses early, while they’re still more easily treatable. These four tests should be conducted annually. We’re all familiar with the routine at a physical exam. The doctor takes vital signs, checking things like your blood pressure, weight, and other important indicators of health. This is the time to bring up concerns or questions to your provider, while he or she looks for changes in your baseline statistics. Especially important for those with a personal or family history of heart problems, a heart exam can catch things like a murmur or blockage early on. Heart disease can strike at any age, and like most progressive diseases, the earlier it’s caught the better the chance for a full recovery. Your lungs are the bellows of the body, drawing in vital oxygen. A healthy heart and lungs is necessary to the basic functioning of your body, so it’s common for your doctor to listen to your breathing and check your lungs for any signs of distress or weakness. Pulmonary disease can be a silent killer, so early detection is vital. Your doctor may also ask you a series of questions about your mental and emotional health. Be honest in your answers. Just like any other part of the body, the brain is vulnerable to changes. Your mental and physical health is determined by your brain health. Things like balance, muscle strength, and nerves are all affected by the brain. It’s important for your doctor to be made aware of any tendencies toward depression, anxiety, memory loss, or other challenges you may be facing. Your doctor is your partner in your ongoing health. By conducting full exams annually, he or she has the tools they need to help you stay in top condition.